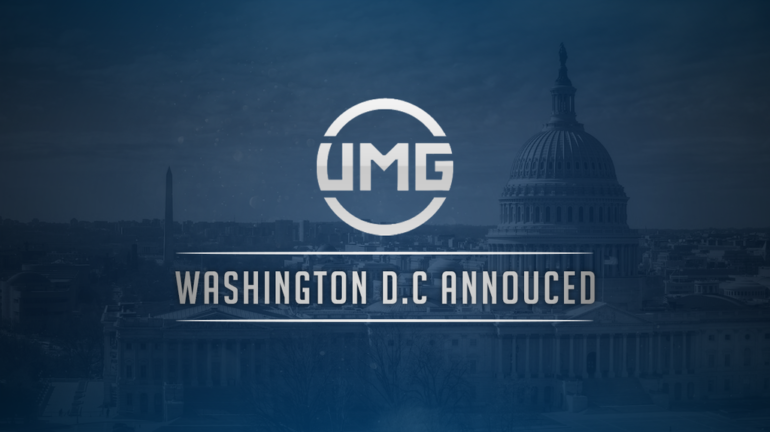 UMG has just announced their final Advanced Warfare event to take place in Washington D.C.
Just a week before UMG Gaming is hosting a $40,000 prize pool tournament in Dallas, they have announced that their following event will be the 2015 UMG Championship held in Washington D.C. This tournament, sponsored by Scuf Gaming, will have a $50,000 prize pool and will go from Sept. 4 to Sept. 6. According to UMG Gaming’s Twitter, tickets and team passes will go on sale Wednesday, July 15. This will be UMG’s fourth Advanced Warfare tournament of 2015, with UMG Orlando ($25,000) taking place at the start of January, UMG California ($35,000) occurring in the middle of May and UMG Dallas set to take place next week from July 10 to July 12. UMG continues to increase their prize pool and earnings in order to promote the growth of competitive Call of Duty. Will you be playing in or attending the 2015 UMG Championship in Washington D.C.? Let us know by commenting below or tweeting us @eSportsNation. Be sure to follow us on Twitter for breaking news in the gaming and eSports industries.